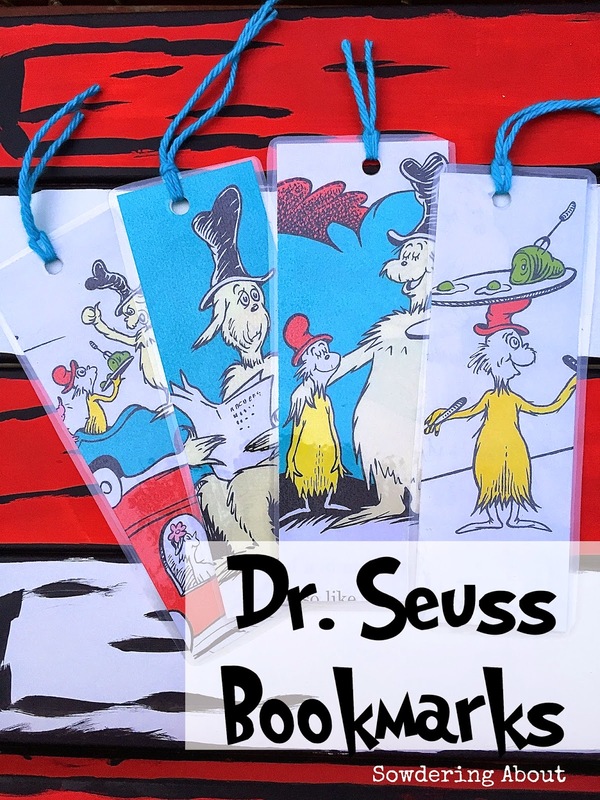 Continuing this week of Dr. Seuss crafts, I have a super fun easy one for ya! I have a deep love for books, so when I tell you that I tore one up for this particular project, I don't want anyone to think I wasn't remorseful. See you have to understand that one of my friends back in Las Vegas, if she sees this post then she will send me a picture of a spider...yea I know, slightly extreme, but we did make a deal, for every book I ruined she would send me a picture of a horrid disgusting spider. BUT, in my defense with this book, it was already torn up, thanks to a few little kids. I don't know if that will save me from the wrath of Alexis though. So hoping that this is a post that Alexis will just miss, I went through and found the pictures that I liked the most and then cut them down to a bookmark size. I didn't measure, just kinda went with what looked/felt good. 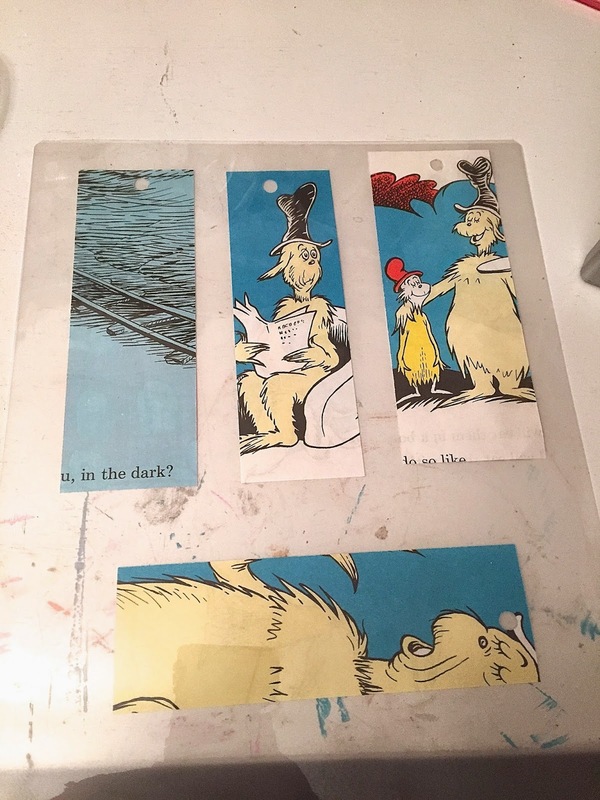 When I had them cut down, I busted out my super awesome laminator! I picked this one up on Amazon for about $25, you can click on this affiliate link to get your own! 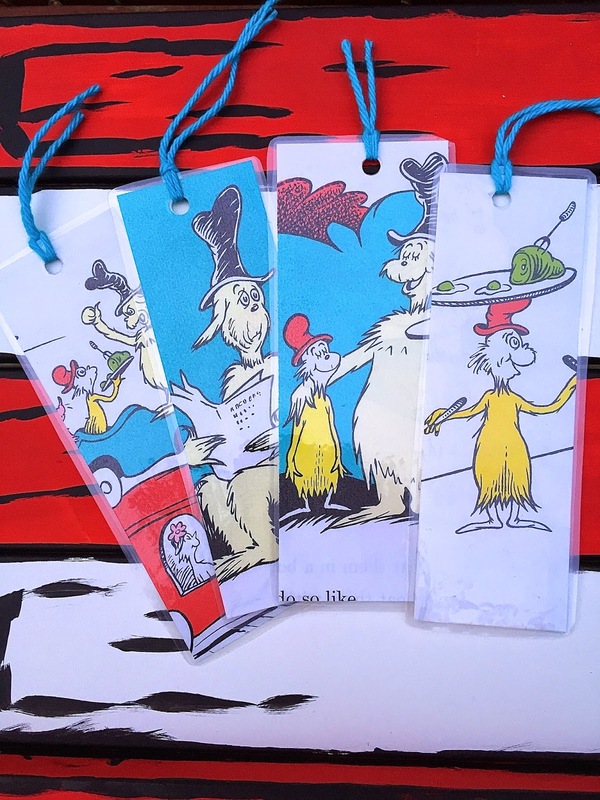 In about 30 seconds, I had four book marks laminated. I cut them down and hole punched them. And TA-DA! 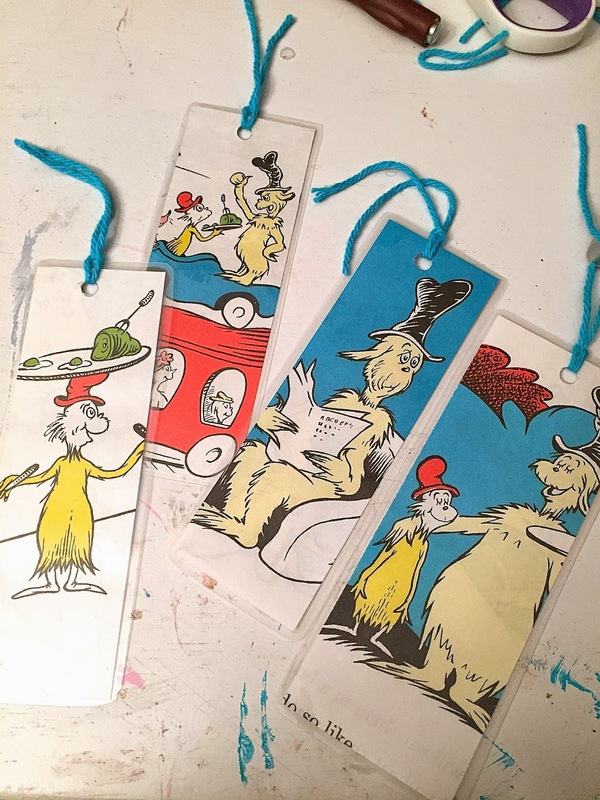 A few green eggs and ham bookmarks...that you know, you can mark your book here, you can mark your book there, you can mark it in the car, you can mark it at the bar. You CAN mark it anywhere! And now the million dollar question, do I send one of these to Alexis? 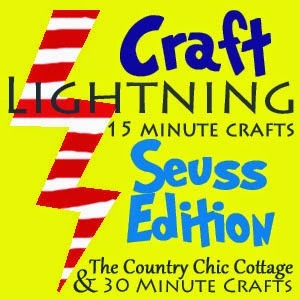 Don't forget to click over to check out the other Craft Lightening projects too! 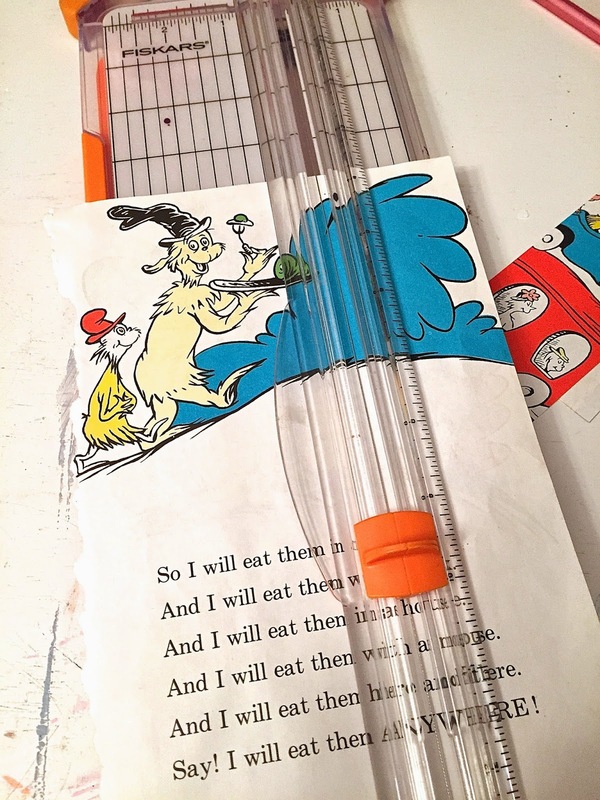 Next thing I know, U will be raiding the trash bins of Children's Dentists Offices and Pediatrician's Offices for the remnants of Dr. Suess Books..........This is a good one!!!!!! !